Retelling of the traditional Malay legend about the origins of the island of Singapore. 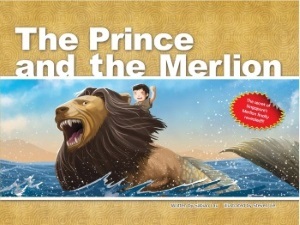 When Prince Parames is stranded on an island after a storm he meets and befriends the Merlion, a creature with the head of a lion and the body of a fish. This is the untold tale of a brave little Prince and his trusted friend facing dangers and surviving. A heart-warming tale of, trusted friendships and magic for girls and boys alike, and, yes for you too Mum & Dad. An adventure for all to behold about the myth of the famous Singapore Merlion.